Home » I'm a NURSE :) » RNheals » I am now officially employed! 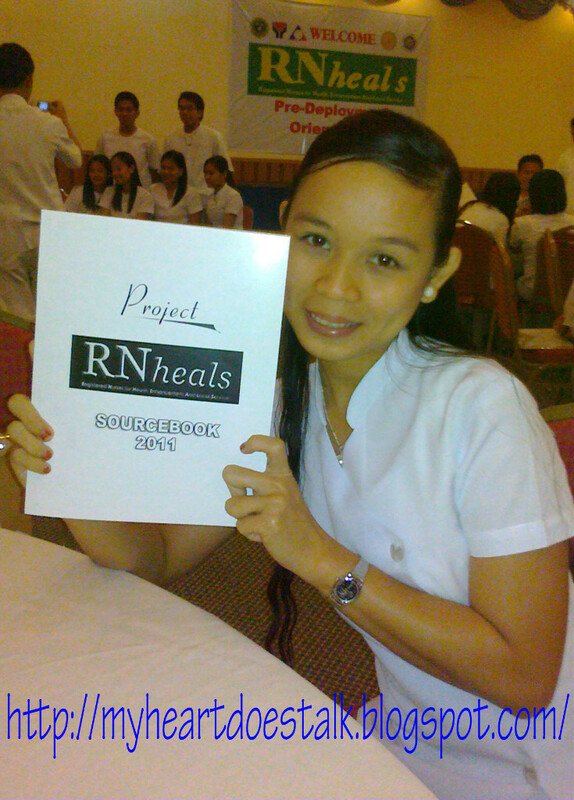 Thanks to DOH for their project called RN HEALS (Registered Nurses for Health Enhancement and Local Service). Eventhough this is only a one-year-project, I am so blessed and thankful to God because out of 1,600+ nurses in Nueva Ecija (more than 50,000 nationwide) who applied, I was one of the 164 (10,000 nationwide) who were hired. I was browsing my facebook account when I saw a link (which I also posted HERE) posted by one group of nurses about this so-called RNheals project of DOH. I got so curious so I read on and learned that the application would be online ONLY. When registration was already open, I immediately registered, then further searched info about it; what to do next, etc. Then I came across this site that says we have to bring the confirmation slip to the nearest DOLE office. I wasn't sure if that info was correct so I inquired in our municipality---and the site was right. The next day, before my duty in the hospital where I worked as a trainee (volunteer), I dropped by the DOLE office and submitted my confirmation slip. Few days later. I received a text message informing me to come by the DOLE office for interview. I can't decide then if I will go or not because I was night duty for two consecutive days (11pm-7am) on the days they specified. But then I thought, that was my chance so... 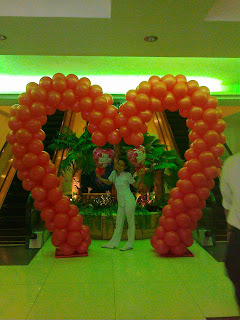 I went there right after my duty. Guess what? There were applicants more than I imagined and it took hours before I got interviewed! 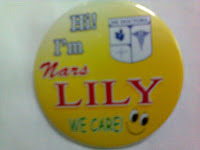 I'll definitely miss wearing my badge. On Feb.14-15, 2011, we had our pre-deployment orientation in Oxford Hotel, Clark, Pampanga. (free accommodation and with lots of foods!) DOH pampered us a lot. hehe ^^, By the way, this is a joint project of DOH, DOLE, DSWD, DILG, PRC and BON. On Feb.21, 2011, we had a courtesy call to our beloved governor. Further instructions were given. 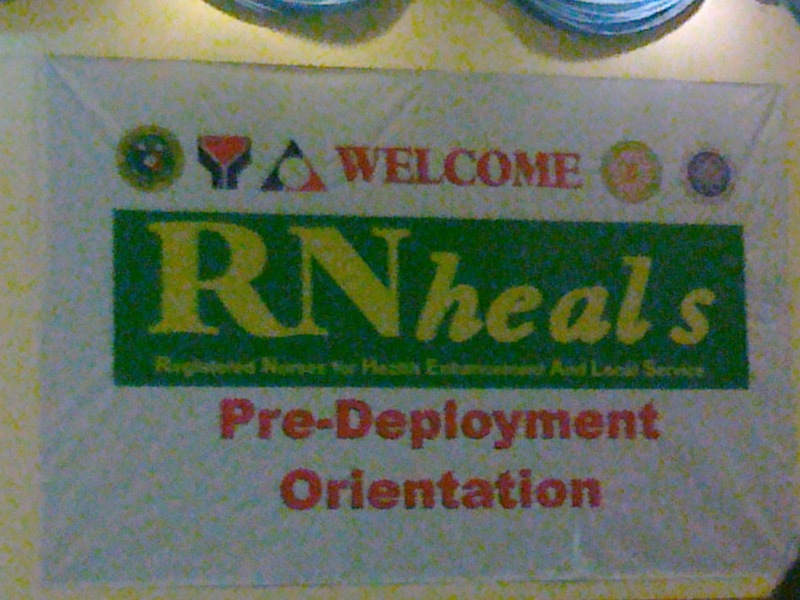 Yesterday, Feb. 22, 2011, we were introduced to our mayor and RHU staff. Today, we were introduced to the chief nurse and medical director of the hospital where we will be assigned. thank you po ate iya! wow! nice naman... wish ko den maging nurse before but then ended up being an it engineer.